USA Swimming has announced an extension of the contract of USA Swimming Executive Director Chuck Wielgus through December 31, 2020. By the conclusion of that contract, he will have held his post at the top of USA Swimming for 23 years, an extension on what is already the longest current tenure of any chief executive of an Olympic national governing body in the United States. Wielgus’ tenure has been hallmarked by both remarkable success and unprecedented challenges. Under his watch, USA Swimming has launched the charitable USA Swimming Foundation, which produces the star-studded Golden Goggle Awards and has developed the nationwide Make-a-Splash program for drowning prevention. Competitively, USA Swimming has led the medals count at each of the Olympic Games over which he’s presided. 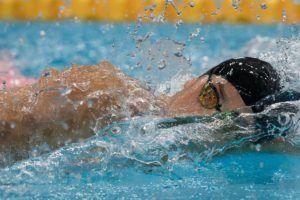 He’s also seen the U.S. Olympic Trials grow into a massive event that is held not in a natatorium, or even a temporary grandstand around an existing pool, but in a 17,000-seat basketball arena. The most glaring failure of the organization is that regarding the sexual abuse of young athletes by coaches. This is not a problem that Wielgus created, but it is one that he inherited and has been tasked to clean up. When the scope of that issue first came to light in 2010, Wielgus’ response on an ABC 20/20 special was that he didn’t feel the need to apologize to the victims of sexual abuse, either as an individual or as the head of the organization. He later wrote this blog post with a more apologetic tone, and has also overseen the creation of a SafeSport program that to date has published a list of over 100 former members of the organization who are banned for violations of the USA Swimming Code of Conduct, mostly (though not exclusively) for sexual abuse. 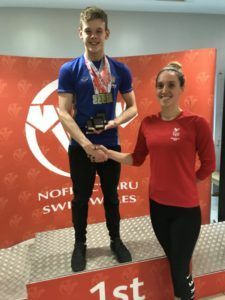 The scale of the abuse and his subsequent response led to a protest of Wielgus’ election to the International Swimming Hall of Fame, and his name was eventually withdrawn in what was called a mutual decision with the ISHOF. Wielgus, who will be 70 when this contract expires, has battled several rounds of colon cancer. The value of the contract was not announced, though recent figures had his compensation somewhere just short of $1 million per year. The USA Swimming Board of Directors extended the contract of USA Swimming Executive Director Chuck Wielgus through December 31, 2020. Wielgus joined USA Swimming in this role in July 1997 and is the longest-tenured current chief executive of an Olympic national governing body. During his 18-year term, Wielgus has led USA Swimming through an extended period of growth in what has become an increasingly competitive marketplace. Membership has surpassed 400,000, while organizational revenues and net worth have more than doubled. Key achievements also include: establishment of Splash Magazine; development of strong corporate and television partnerships; creation of new properties such as the Mutual of Omaha Duel in the Pool, the Golden Goggle Awards and Arena Pro Swim Series; and re-positioned the U.S. Olympic Trials – Swimming into one of sport’s major events, held in a 14,000-seat venue with an accompanying 100,000 square-foot Aqua Zone fan festival. Under Wielgus’ leadership, the U.S. Olympic Swim Team has won an average of 31 medals in each of the last three Olympic Games to lead Team USA. Additionally, financial support to USA Swimming National Team athletes and coaches has also increased significantly. 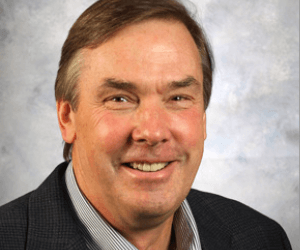 Wielgus also spearheaded the creation of the USA Swimming Foundation, for which he has served as chief executive officer since its 2004 inception, which through its Make a Splash initiative has the goal of teaching every child in America to swim. 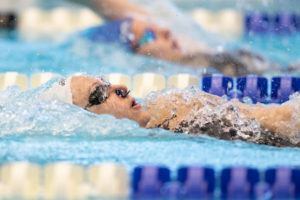 Earning the first-ever Association of Chief Executives of Sport (ACES) Chief Executive Leadership Award in 2015, Wielgus has also received honors from the American Swimming Coaches Association, College Swimming Coaches Association and El Pomar Foundation. Identical lane lines in championships meets may have made sense back in the 1970s and 1980s, but not in the 2010s when many fans are watching meets on their mobile devices and PCs. It is much easier to figure out what’s going on in a race with different colored lane lines. Mr. Wielgus: please embrace spectator-friendly design. Make the change for 2016 Oly Trials in Omaha! Do the right thing. John Bitter bragged to many people at the Minnesota Grand Prix that the board was not renewing Chuck’s contract. The way he handled the issue of abuse in the sport was a disgrace. The ISHOF had it right when it withdrew its invitation to induct him. And here he gets extended.